Showing the metal logo on the left. In its relaxed state the headband is about 2.5" wide. The headband can expand to about 4" or so, similar to a Bangbuster. The net look reminds me of a medieval snood. 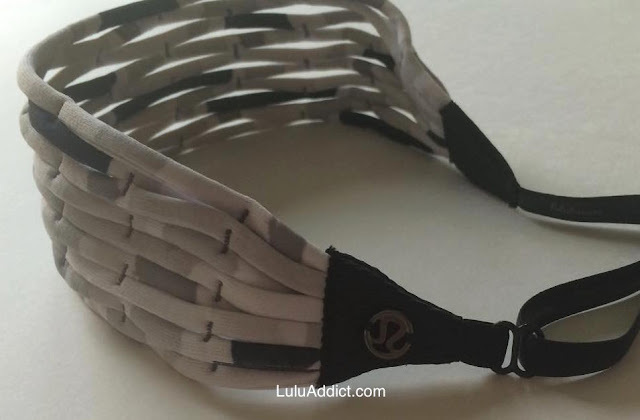 The back strap of the headband is adjustable and has gripper plastic lining, which makes it a little tough to thread through the adjuster slide. 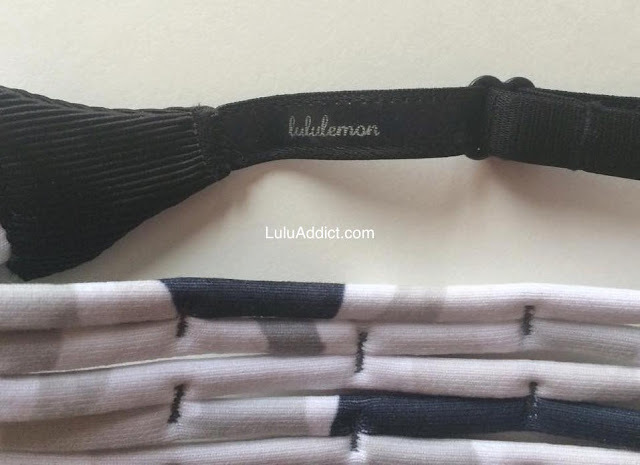 I wore it out running errands and it stayed in place nicely and was comfortable. However, I can't speak yet as to how it would stay in place for a workout. I just love how it's made of luon so will soak up sweat yet looks so decorative and feminine. Thank you for your review. When you posted a heads-up a few days ago that it was adjustable, I ran off and ordered both colours. 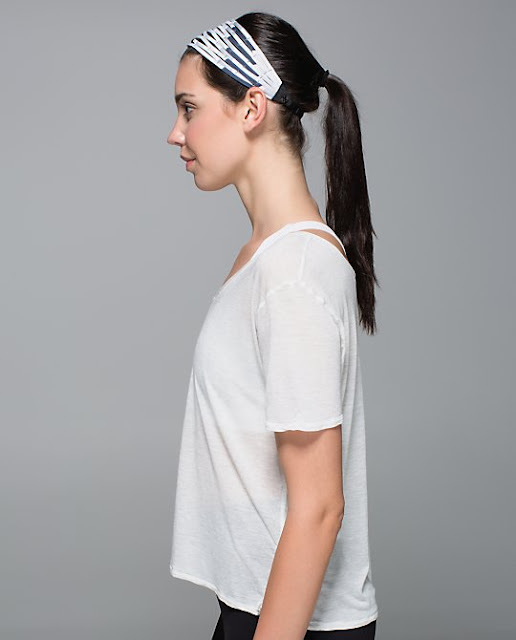 I love headbands too but fit is not always a sure thing for me. I'll be getting them in a couple of days but have been wondering about them in the meantime. I love the look of this one in your pics! @ anon 4:41 am - I was thinking of getting the black one, too, but have darker hair so am hoping for another lighter color. Maybe it'll come out in the colorful bleacher stripe.